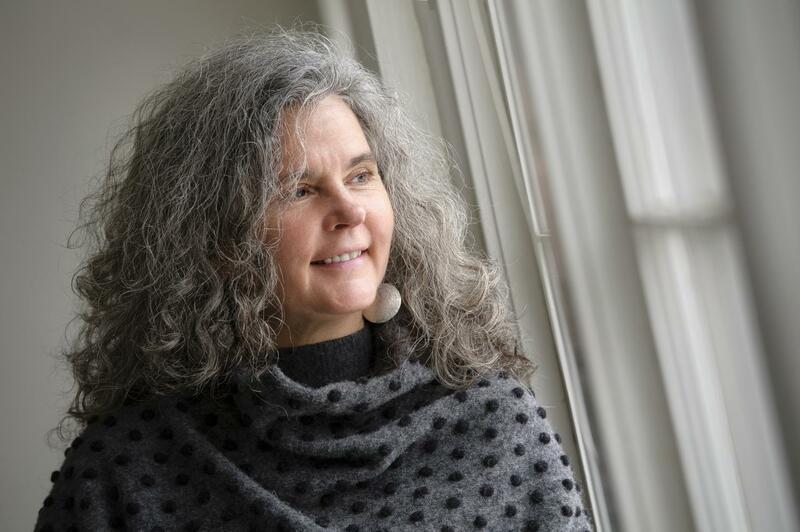 BOZEMAN — A Montana State University professor who conducts research with indigenous communities in Montana, Greenland and Finland has won a pair of awards to further her work. Beth Rink, an associate professor in the MSU College of Education, Health and Human Development and a researcher with the MSU Center for American Indian and Rural Health Equity, won a five-year, $3.12 million grant from the National Institute on Minority Health and Health Disparities of the National Institutes of Health for "We Are Here Now," a sexual and reproductive health randomized clinical trial for American Indian youth and their families on the Fort Peck Reservation in northeastern Montana. In addition, Rink has been named a Fulbright Arctic Initiative Scholar to help advance Arctic nations' shared interest in building resilient communities and sustainable economies. "We Are Here Now" is a term the Assiniboine and Sioux – the home tribes of the Fort Peck Reservation – used for coming-of-age ceremonies in traditional times, Rink said. Rink's multilevel, multi-component research study of the same name has four components, including a school-based curriculum called Native Stand that is designed to address individual factors that lead to sexual risk behaviors; a family-level curriculum called Native Voices that is tailored to increase communication between adult family members and youth about sexual and reproductive health topics; a community-level cultural mentoring component that pairs youth with adults and elders to help connect them with their cultures and traditions; and a systems-level component to adapt and coordinate tribal sexual and reproductive health services provided to youth. Rink said she hopes the research study – which is among the first of its kind in the U.S. – results in a positive impact on the sexual and reproductive health of American Indian youth in Fort Peck, as well as an increased connection to the youth's traditional culture. She also hopes the research can serve as a model for how researchers and tribal communities can work on a complex, integrated research study. "Our short-term goal is to integrate (this research study) into the existing Fort Peck infrastructure to ensure local sustainability," Rink said. "Our long-term goal is to produce a toolkit, including curriculum manuals, a (sexual and reproductive health) cultural mentoring program and specific systems-level actions suitable for replication in other tribal communities." Rink said We Are Here Now builds on a collaborative research relationship between the Assiniboine and Sioux Tribes of the Fort Peck Indian Reservation and MSU researchers that dates back to 2006. That work has focused on preventing sexually transmitted infections, HIV, hepatitis C and teen pregnancy among American Indians at Fort Peck. Rink's research at Fort Peck has relied on a method known as community-based participatory research, or CBPR. It's important to Rink that her work follows CBPR principles and practices because the CBPR framework ensures tribal oversight and guidance in all phases of the research study. It also ensures the study embraces the relevant cultural, linguistic, group identity and health needs as defined by the Fort Peck community members themselves, she said. "This grant award isn't about me; it's about Fort Peck," she said. "If it weren't for the people in Fort Peck believing in this research and wanting to work with me, it wouldn't happen." We Are Here Now will have a significant impact on the lives of the future leaders of the Assiniboine and Sioux Tribes of the Fort Peck Indian Reservation, according to Paula Brien-FireMoon, project director for We Are Here Now. She noted that the Fort Peck Tribes have been the driving force for addressing health disparities occurring with the tribes' young people and, in collaboration with MSU and Fort Peck Community College, the research study provides an opportunity to foster healthy changes within the community. "High school-age tribal members will be given the knowledge necessary for making positive and healthy decisions about their lifestyle choices," Brien-FireMoon said. "The approach to educating them will be a community effort with Fort Peck Community College through collaboration with other agencies. The sustainability of this (program) will be embedded within the agencies through institutional policy change." Ramey Growing Thunder, Fort Peck Tribes' Language and Cultural Resource Department director, said she is delighted a portion of the grant will allow the department to work to reach the community's students from a cultural foundation. "This is great, as the cultural mentors will consist of various Dakota and Nakoda elders from our Fort Peck homeland communities that carry our traditional knowledge," she said. "It will be our ancestors' traditional teachings that will guide us through our engaged cultural activities through the duration of this project. I am most happy to be a part of a dynamic and culturally grounded initiative." Rink's second award, through the Fulbright Arctic Initiative, will enable her to conduct a comparative analysis of sexual and reproductive health, services and systems in two Arctic communities. The Fulbright Arctic Initiative is designed to enable scholars to help policymakers address critical challenges facing the Arctic and create opportunities for Arctic populations. For her Fulbright research, Rink will work with researchers from the Thule Institute at the University of Oulu in Finland and members of the Sami community in Utsjoki, Finland, to examine sexual and reproductive health disparities of the Finnish Sami, an indigenous group in Northern Finland. She will then compare that information with similar data she has gathered in Greenland for more than a decade. Since 2007, Rink has conducted research in Greenland examining sexual and reproductive health among the Inuit. Rink said she chose to work with the Finnish Sami because the sexual and reproductive health outcomes of that group related to sexually transmitted infections, preterm birth and miscarriages are known as the healthiest for an indigenous group in the Arctic. On the other hand, she said, the Inuit in Greenland are known for having the poorest outcomes for Arctic indigenous groups. Health care systems among both groups are very similar, Rink said, which leads to additional questions over why the outcomes are different. "I want to try to figure out why things are better among the Finnish Sami than among the Inuit in Greenland, because it's pretty much the same system," she said. In addition to her individual research project, Rink – who is one of 16 Fulbright Arctic Initiative Scholars – will also work with the other Fulbright Arctic Initiative Scholars on a team project. In all, eight scholar groups will research questions related to resilient communities and energy in the Arctic. Most of that work will be done remotely, Rink said, although the scholars will come together to meet as a group at least three or four times over the course of the 18 month-long Fulbright. "We've got pretty diverse experiences and backgrounds so that we can look at these super complex problems around Arctic health and climate change through an interdisciplinary lens, which is what the Arctic needs," Rink said. "When the ice melts that starts to shift everything. But it's more than just ice. The winds change and the sea warms up, which shifts hunting and fishing. And, when hunting and fishing shifts, their whole lives change." Rink said she hopes her work through the Fulbright Arctic Initiative will help draw much-needed attention to Arctic communities' health. "I really hope this particular work will highlight the need for Arctic countries and the rest of the world to pay attention to reproductive health in these very fragile indigenous communities in the Arctic," Rink said. Ross Virginia, co-lead scholar for the Fulbright Arctic Initiative and director of the Institute of Arctic Studies at Dartmouth College, said Rink's history of cutting-edge community health research focused on indigenous communities in Greenland and the U.S. will be important in exploring the determinants of community health and well-being. "Dr. Rink is well-known for her work on models for the ethical conduct of research and on approaches to encourage community participation in research," Virginia said. "I am thankful for Dr. Rink's commitment to conducting policy-relevant research that matters to the peoples of the Arctic." In addition to her work as a professor with the College of Education, Health and Human Development and as a researcher with the MSU Center for American Indian and Rural Health Equity, which has funded her work at Fort Peck since 2014, Rink is also a research mentor in the American Indian/Alaska Native Clinical and Translational Research Program. She has previously received research funding from the U.S. Office of Population Affairs, the National Science Foundation and the National Institutes of Health. "Dr. Rink has spent years thoughtfully and meticulously working to advance health among indigenous communities," said Alison Harmon, dean of the College of Education, Health and Human Development. "We're delighted that these awards will help this important work continue." Jovanka Voyich, Montana director of the American Indian/Alaska Native Clinical and Translational Research Program, said the program benefits from Rink's involvement as a mentor. "She teaches investigators to work with communities to design culturally appropriate studies and makes certain researchers know the findings belong to the sovereign nations," Voyich said. "She is an invaluable resource for young investigators interested in (community-based participatory research)." Rink said support from MSU administrators, including Harmon, Provost Bob Mokwa, Vice President for Research and Economic Development Renee Reijo Pera, President Waded Cruzado and Deborah Haynes, head of the Department of Health and Human Development, has been crucial to her work. "I couldn't do what I do if it weren't for the people like them supporting me," she said. "I'm very grateful."